Transfer data including contacts, messages, photos, videos, music, etc. Intuitive process, speedy data transfer. 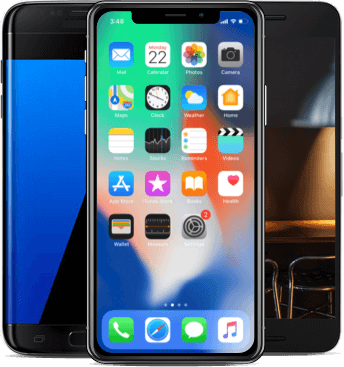 Fully compatible with iOS 12 and iPhone XS, Samsung Galaxy S9. When you upgrade to a brand new smartphone, you don't have to leave behind all your messages, contacts, precious photos, etc. iSkysoft Toolbox - Switch (iOS&Android), the most convenient phone to phone transfer tool, helps you transfer almost everything between iOS and Android devices. Most importantly, you can select just the file types you need to transfer from phone to phone. 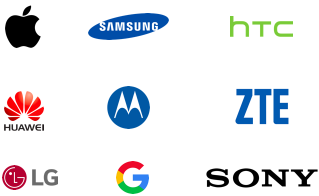 Fully supports smartphones provided by AT&T, Verizon, Sprint or T-Mobile and all major carrier providers. 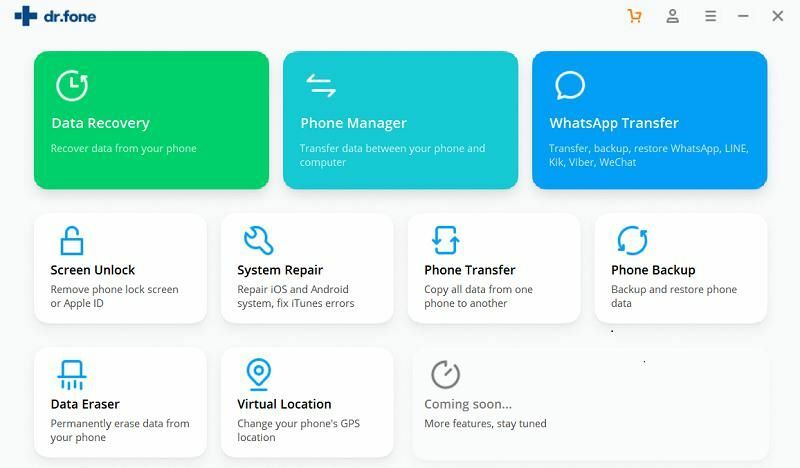 From contacts to messages, precious photos and videos to music, iSkysoft phone to phone transfer helps you transfer all important data to your new phone smoothly. And all in one click. It takes only a few minutes to transfer all you need to the new phone. Transfer data from phone to phone in 3 steps. No technical skills required. It will never cause data loss during the data transfer process. Only you can access your data. No worries about data leak. Step 1: Launch iSkysoft Toolbox and select Switch module. Step 2: Connect both the source and target phone to computer. Step 3: Select the data types and click Start Transfer to transfer data. 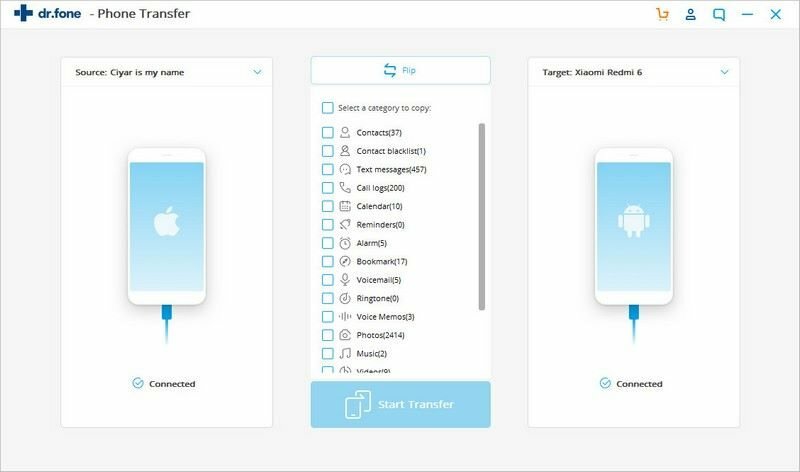 iSkysoft Toolbox - Switch transfer files between all iOS and Android devices, including the latest iPhone XS, iPhone XR, iPhone X, iPhone 8, Samsung Galaxy S9, etc.